So i’ve finally finished working on the Melee Warden guide in the other section and as promised, i will start assembling a guide for mages now, i will try to make it as much detailed as possible with information from alot of different sources and guides that i will add up here into one to make it as informative as possible. The guide is and will be changed and modified accordingly to the changes that will come in the Mechanics of the Mage class. In this guide we’ll talk about stats for a mage, about their importance and how will they affect your mage overall. About spells and ruby builds, we will talk about each spell in detail that a mage owns. About different spell builds and different ruby builds, ect. Lets get started now shall we? When creating a character you’ll read the basic things about the Mage class, that they can turn enemies into ice blocks, burn them to ashes with the wave of a hand, or stop them from moving and that they are very skilled at casting powerful offensive spells. Well with that its probably the basic and general concept of a Mage, indeed everything described in the basic description is a short rough description of what a mage represents of itself in Allods. Generally the Mage in Allods will often be sought in parties as a DPS/DD type class wich will enable the party to tear trough monsters in shorter amounts of time, also because of the decent controlling abilities a Mage posseses wich will enable him to control groups of monsters. The mage is also a Mana using character wich heavily relies on their mana spawn, and as any class does, with each of the mages level increasement , the mana cost to all of his spells also increases, thus its considered to a be a mana starved class and it has to mend to his consumptions carefully. Also in Allods Mages have a very interesting ability, some of the spells are able to be pre-casted, what does that mean? It means that you can charge a spell outside of combat and walk with it in your hand, then instantly throw it at your opponent when you feel like it. It works well with spells that have a long casting time and you can’t afford to cast in combat. In 1v1 PvP the Mage doesn’t shine as brightly as in group or Mass PvP, honestly said, half the classes in Allods with same gear as the mage will probably be able to lay him down. But in Mass and group PvP its a whole different story. When creating a Mage you will have to pick one of three Races availabe, two of them are on the League side and only one is on the Empire side. As a League member you are able to pick a Mage class of two races, either a Elven Archmage or a Kenian Magician. As a Imperial fraction member your choice only narrows down to one choice, wich is an Arisen Sorcerer. There aren’t many disstinctions stat wise betwen the classes, well not as significant as to base your choice on them alone, but the Racial abilities provided by each race are a whole different topic, each ability is useful in its own way if used correctly and at a proper time. As a Elven Archmage you will aquire the ability Archmage’s Enlightenment wich will increase the casters total intelligence by 30% for 30 seconds, the ability has a 3 minutes cooldown. It is argued to be the best Racial ability available for a mage in many topics. The ability can enchance a Mage’s damage capability to sureal heights. A decently equipped Mage at level 40 in purple epic gear will easily get his intelligence up to around 600, with the 122 Intelligence amulet and with a few stat potions crafted by Alchemy and such, plus the Racial ability, a mage can easily sky his Intelligence over numbers of 1,000, under the effect of a Astral Power potion, the class Mage will become a walking menage for 30 seconds, most likely being able to oneshot groups of players with the cast of just one FireBall, the crits from fireball will easily go over 100,000+ points of damage under those conditions. As a Kenian Magician you will aquire the ability Magician’s Concentration wich will enable the player for a limited amount of time to resist cast interruptions. The effect lasts 20 seconds and its cooldown is one minute, also with a special PvP trinket that has a 10 second ability same as the racial, you could increase it to a 30 seconds. But be aware, the spells will still be interruped if you are knocked down, stunned, feared, ect. It only prevents cast interruptions when damage is received. Thus with that ability, a Kenian can use such abilities as Fire Wall, Snowstorm, Icy Flow and Lightning Ball more effectively than any other class. And as a Arisen Sorcerer you will get one aditional spell wich is called Astral Arrow. Its damage is quite formidable and around of the same strength as a Ice Comet. This spell has a 20 second cooldown and a 4 seconds casting time, it also knocks down the target for 2 seconds, wich is one more additional mean of control for the Arisen Mage type. Excellent ability overall, it hits the target with Astral damage as the name of the spell implies, thus its damage isn’t resisted by Elemental resistance but by Divine one, wich is in most cases is lower than the Elemental counterpart. It also has good damage without having a high range betwen minimum and maximum damage, can be used as a precasted nuke spell. And last but not least its 2 second knockdown ability, its a quite precious ability in teamplay with a stalker and warrior, also is a good way to stop a target thats trying to run away. 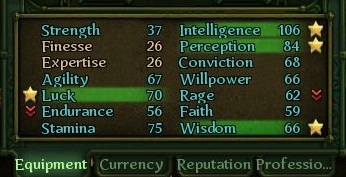 Every character in Allods has a certain amount of stats, lets review them all and each’s usefulness for a Mage. Strength – represents the modification of damage in close range, applies to damage from normal attacks aswell as physical spell attacks, useless for a Mage, you can totally ingnore this stat without suffering severe consequences as with some other stats. Finesse – represents the resist modificator that a enemy will have against your physical attacks. Useless for a Mage, you can also keep this stat at a minimum. Expertise – this stat affects the accuracy of your physical attacks, useless for a Mage also, you won’t even use physical attacks. Agility – a stat that affects the chance of you dodging a enemy physical attack, a important stat for the Mage as for both PvE and PvP. But most INT/Perception gear will come with either Agility or Stamina, so this stat will be actually quite high. Luck – a stat that affects how often will you deal critical or glancing blows. Very important for Mages, probably i’d say this is the second or third most important stat for a Mage but its harder keeping it in balance without sacrificing Intelligence and Perception. Endurance – a status that determines the chance with wich you will receive a critical or glancing blow, it has a mediocre significance both in PvE and PvE. Stamina – a status that determines your maximum health points, very important for Mages. Intelligence – a stat that affects a characters Magical attack, a extremly important stat for a Mage , wich multiplies the total damage of your spells from your wand power. Perception – stat determines the amount of resistance your enemy will have against your magical spells, a important stat for a mage, in other words, if you can’t penetrate your enemies magic resistance than you won’t do any damage! Conviction – a stat that affects the success of your control abilities such as dissorients, stuns, slows, ect. Mediocre usefulness in PvP and generally not a very important stat to look out for. It will be rised a bit anyways out of the random gear you’ll be wearing since some of it is bound to have a bit of it on it. Willpower – the counterpart of Conviction, a stat that affects the success of you being affected by control abilities. Mediocre in PvP and useless in PvE, not a stat thats worth worrying about, same as the one above. Rage – a stat that determines the seriousness of wounds that you will deal to a target , mediocre usefulness in both PvP and PvE, not a stat worth worrying about, will come itself ingame with gear. Faith – a stat that determines the effectivness of your heal spells on wounded targets, its not quite useful for a mage since we only have one healing ability, but still i won’t pass it around and keep it at minimum, always good to have a bit of it laying around, but don’t worry too much about that, equipment your going to wear is bound to have some faith on it. Wisdom – the counterpart stat of Stamina, it affects your maximum Mana points and their recovery rate, for a Mage this stat will also be one of your most important ones since Mage is a mana starved class – he eats alot of MP to sustain his spells and barries, so having low of this stat will have you unable to be effective in combat. The most important stats overall for a Mage would be as a first Perception, then Luck<=>Intelligence, Wisdom, Stamina and Agility, altho Stamina and Agility can be overlooked a bit since most of the time shields will cover for your damage received. And with a few further builds i will provide, you won’t have to worry much about Mana consumption while keeping up Shields in PvE as a mage. These are the main attributes for PvE, altho for PvP you would want to add some Endurance to them to resist criticals and have a higher chance of receiving a glancing blow. Most people would think that choosing either INT or Crit mage, you would have to drop one stat indefinetly, wich is not true, you won’t be a successful Mage in case with INT if your Luck is too low and your Glancing blows are too often, it will decrease your overall ability to DPS as a whole. Same for Crit Luck mages lacking in Prception and Intelligence, your crits will not deal much damage if they are either resisted or your intelligence is too low for them to be powerful. Thus you will have to keep a certain balance in these stats regardless of what affinity you would prefer. Ofcourse Intelligence mages won’t crit as much but they will have to watch their luck from getting out of hand and always trying to keep your critical rate at 5~20% and your glancing blows at a rate of 10%, no higher. Same for Luck mages, you will want your crit rate to be over 40% but you shouldn’t neglect your Intelligence and Perception, as thus having a lack of perception and letting monsters resist 40% of your damage isn’t very smart, same as for having intelligence too low, the higher you go in level and the higher the Intelligence number = the more damage it generates, so don’t let it drop to a level where a average Intelligence mage will deal more damage with non-crits than you do with crits. Lower we’ll see some graphics that give a aproximative understanding of how stats work in a rising order after being affected by the increase in the appropriate stat. The general damage modificator is dirrectly infulenced by Intelligence at a square rate so you can increase Intelligence as much as you want and the stat won’t lose in its effectiveness. Luck affects two abilities, your critical hits and your glancing blows. 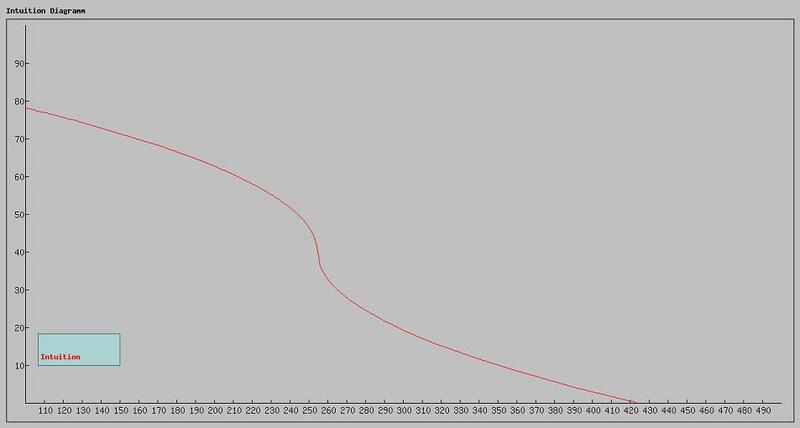 As we see in the graph after luck reaches 237, it turns from a linear to a square rate characteristic such as intelligence but the chance of dealing a glancing blow works a bit differently and isn’t linear until luck reaches 355. So we can make a conclusion that the round number that we should be aiming for would be from 280 to 350, while balancing the other stats respectively. Perception, the effectiveness of perception as we see also isn’t linear so and in the 230-270 range we see a high effectiveness growth of the stat and after 270 the effectivness slowly starts deteriorating. 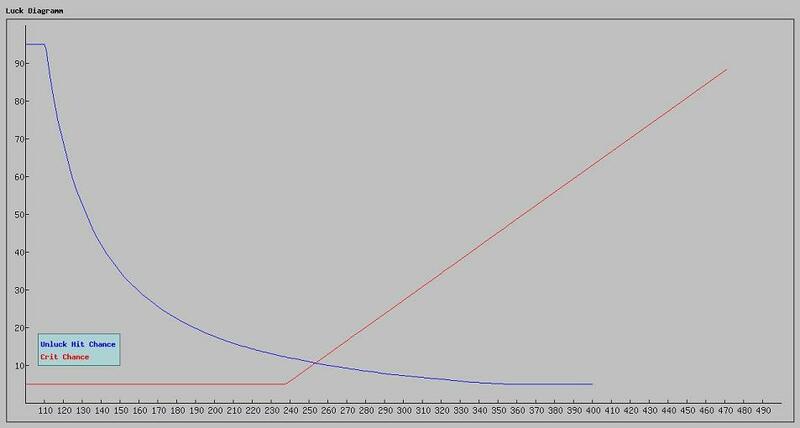 So the optimal number for this stat would be aroun in the range of 300~350. The linearity of Faith seems to be quite similar to the one from Perception so the optimal numbers as we see that you would want to go for would be 300~350. 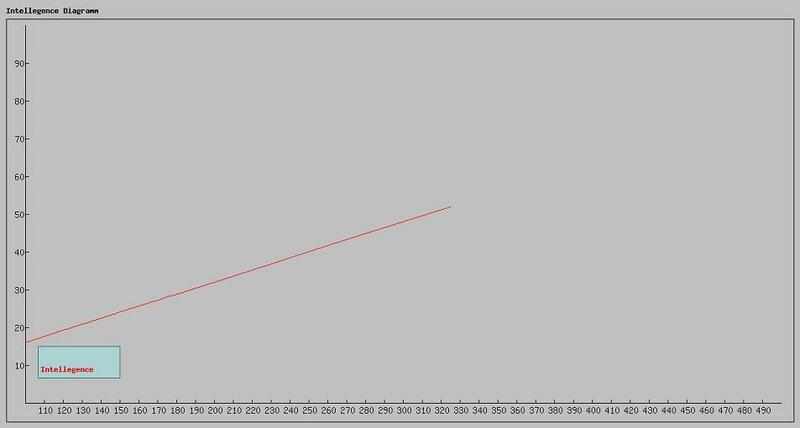 Drop of effeciency after 270, same as the chart with Perception. 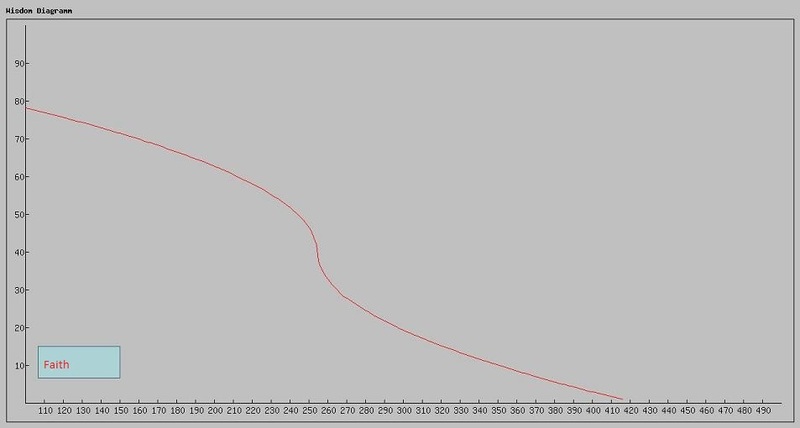 Endurance affects both the chance of you receiving a glancing or a critical blow, as we see the chance of you receiving a critical hit after the stat reaches 135 isn’t linear and decreases drastically down till the stat reaches 273 after wich it just focuses on being at minimal chance. And as we see the chance of you receiving a glancing blow is linear up to the point of 186, then it slowly starts being more effective. With that said, you shouldn’t really concentrate on increasing the stat much after it went over 230~280 since thats the optimal value you would prefer for it not to influence your other characteristics. So what conclusion do we reach here after seing all these graphs? Intelligence is possible and should be increased infinitely because of the linear and stable increase in overall damage for a Magician. Wisdom should be increased until a certain point. By means of testing it came above that the optimal stat value for it would be the only value that you set it to! Like i said a mage burns trough mana very quickly so there is never enough of this stat, the higher you can keep it without sacrificing other important stats = the better. Perception should be at around the number of 300~350 and should be kept at that number since any higher and its effectiveness will drop noticeable and the points are better off in another attribute. Luck should be kept at around the number of 280~350 but if you have the option of having more luck without sacrificing other stats then by all means you should get more, but don’t get too fanatic about it. As for all the other stats, they should be kept at minimal level. Naturally the higher the stats – the better but lets keep in mind that certain stats start to lose their effectiveness after they reach a certain point and further points should not be wasted into them but rather allocated somewhere else. We’ll see, but i’ll still also add a few additional sections today. In this section we’ll talk about spells, how do they work, what effects them, wich are best to be had for wichever reasons, ect. The Mage has three Categories of spells, ones are Talent spells – wich you usually refer as your general usage spells, seconds are World Mystery Spells – wich you get from different quests along the world and third are Ruby spells, wich mostly come in a form of passives , but with some expections. Lets start with the normal spells available to each mage from level 1 wich are Talent spells, they come in three different elements, Fire, Ice and Lightning and some exceptions to three barriers and a mana restoration spell. Fire Arrow: – your first and most basic fire spell, it has a 1.5 second cast time and no cooldown, the mana usage is minimal thus its quite spammable, its usually the most often used spell for a fire mage, deals decent amount of damage , higher than Shocking Gasp, and has a long range of 40yards, its highly recommended getting it to rank 3 as soon as possible for Fire mages. Especially works well with crit type mages since its ranged, has fast casting time and thus crits come out often, and some ruby passives allow the mage to regenerate mana on crits. Its also possible to Precast it. Icy Flow: – your first and most basic Ice spell, its a channeling type spell that has to be cast for 3 seconds, you can’t move while channeling it or it will get interruped, getting hit will also interrupt it, it deals low continuous damage but leaves a a debuff on the target, each second of this spell caster leaves 2 stacks of a debuff on the target, wich reduces its movement speed and attack power by 15% per stack, to a maximum of 6 stacks can be on the target at once, thus reducing speed and attack by 90%! No cooldown also. Each next hit will deplete 2 stacks of damage from the target, thus it won’t be under ice effect after 3 hits. But there is a flaw also, any kind of damage depletes the stacks and cancels the effect, even DoT’s, so in a party where several members are attacking the same monster – this spell is kind of useless. If the next source of damage was caused by your Fire, then there will be addiotional damage bonus dealt. This spell has a relatively high mana cost later on and the damage isn’t as great, but its a decent way to slow down a target, investing poitns isn’t recommended since it only slightly increases the damage dealth..wich already is insignificant. Shocking Gasp: – your first Lightning type spell, unlike the other two previous spells that were long ranged, this one is actually a close ranged spell. But with the sacrificing of range it gets a instant cast time and no cooldown, also the damage is 40% lower than Fire Arrows but it has a trick to it, when the opponents Health reaches lower than 25%, it starts dealing double damage to him, so its a great finishing move. The mana cost is also minimal so its spammable and its the main mean of damage that a Lightning type mage prefers, overall its probably got the fastest DPS in between all of the classes. Its highly recommended to invest points into this spell and get it to rank 3. Fire Ball: This is the second Fire Spell you get , it one of the highest damage ratings in the game, its also a AoE (Area of Effect) type spell wich can be precasted. The mana consumption is quite fair for the amount of damage it deals, but the downside is that its casting time is 5 seconds, wich is quite long and unusable in combat, so you would prefer casting it beforehand. The recommended rank for this spell is 3. Icy Grave: This is your second Ice Spell, it doesn’t deal damage but only freezes enemies, making them enable to move. Cancels any fire effects on the target and the ice will break if the enemy is hit. Its a great mean of control and the higher the rank of the spell, the longer it lasts and the less chances that your opponent will resist it. Casting time of 2.5 seconds and a cooldown of 10 seconds. Lasts 20/25/30 seconds, relatively cheap mana cost. A well handed mage with this ability and icy flow can keep under control 3 at once enemies. Can also be precasted, recommended rank for this spell is 2. Stone Barrier: This is your first Barrier spell you get. Its a must for any mage to have this spell in his arsenal, it adds 5/7/10 layers of Stone Barrier to your character, wich each absorb a certain amount of damage, the damage absorbed is determined by your characters Intelligence and some ruby talents. Casting time is instant, cooldown is 45 seconds, mana usage is mediocre. As we see mana usage is pretty high tho so it comes at a price, use it too much and it won’t be long before your out of mana, but there are ways to avoid the mana burn wich i will talk about later in the guide. A Magician with heavy Intelligence can even fully absorb blows from warriors with Two-Handed weapons trough this barrier. Must get rank 3 of this spell regardless of what kind of mage you are since without it, your a piece of meat. Reflections: your second barrier, its a Ice spell, wich generates and creates 5/6/7 illusions around you, that can help you avoid any kind of damage sometimes, but sometimes the damage can go trough the illusions and hit you dirrectly while still eating a illusion. The best part about this spell is that it can block even magic and any kind of high numbers, the flaw of this spell is that all the illusions will get deleted if your caught in a AoE and that sometimes you they will fail to absorb incoming damage and you will get hit dirrectly. Instant casting time, 30 seconds cooldown, mediocre mana cost so casting it too much in combat will lead to a mana insufficiency. The only difference between different ranks is the addition of 1 extra illusion, wich is not worth extra points spent for. Thunderbolt: This is your second lightning spell, it has a 3 seconds casting time and deals slightly higher than a rank 3 Fire Arrow, but it burns trough the Mana of your enemy when hit by it, but it also eats a good amount of mana so its mainly useless in PvE and well to be honest pretty useless in PvP also since the amount it deplets isn’t worth it and its too long of a casting time with low damage to it. Don’t get this at all. Meditation: This is the Mages main means of mana regeneration, thus is why he never needs a mana potion around. In the interval of 10 seconds, the mage will recover all of his mana with this spell, in combat it takes 20 seconds. Also while under the effect of Meditation, the mage will receive double the damage, so using in combat is not recommended. 30 Seconds cooldown, doesn’t require mana to use. At rank 2 and 3 it only decreases time , each respectively by 2 seconds. Get it to rank 1 and leave it like that, you won’t really feel a need to regenerate faster than it does at rank 1, plus with a good amount if wisdom, you won’t need to as often. Wall of Flame: This is your third fire spell, it creates a wall of flame over the area it was casted upon and damages the area per second, enemies caught inside it will be immobilized while the effect is on. This spell is a great mean of control, you can try catch 1~3 enemies with it and keep them stopped for 8 seconds while dealing fire damage each second, no cooldown, 40 yards range. Is a channeling spell that lasts up to 8 seconds, mana consumption is rather high. Recommended getting this spell at rank 1 atleast for the control ability in different situations. Anyways it works also great with the Kanian concentration ability and the Elf Arcane ability. The damage dealt is quite good so it will be very useful in Mass PvP and some PvE raids, but its a situational spell so don’t expect to use it too often. Pulse Lightning: The third Lightning spell that a mage has, its quite useless also but oh well. Its a Channeling spell, deals damage in a inverval of 8 seconds, 14 times, 20 seconds cooldown, 40 yards range. Has high mana cost but the total damage dealt is also high, might be worth it for Kanian Mages wich have the ability to make spells uninterrupable. But doubtful. Anyways they say that sometimes back in time this spell had a knockdown to each ball of lightning but it doesn’t seem as of now like that, so its not worth it , but it might change if the Knockdown effect is applied. Ice Comet: The third and last Ice spell in the Spell talent tree for a Mage. This spell flies out and damages everything in its way up to the target. 4 Second casting time, can be precasted, eats a average-high amount of mana and has no cooldown, 40 yards range. Interesting spell with a interesting mechanic, but i won’t go into details since its not worth it. No point investment at all. Resist Elements: Finally the last shield a Mage has available, it works around exactly the same as Stone Barrier but! Its against magic instead of physical attacks, cannot be stacked with Stone Barrier and creates 3/5/7 shields against magic wich each absorb a certain amount of damage wich is affected by intelligence. Well by description it seems to be a nice spell but well there are alot of flaws to it. DoTs hit right trough it, ignoring the barrier, same do channel spells so its only really useful against other Mages. Against a Paladin you should rather keep your stone barrier up since his physical dmg is alot higher than Light damage, against a necromancer again its better keeping up stone since his pet will deal more damage than himself, and same applies to Warden as to necromancer. But generally its better not to ignore this spell and try to throw atleast two ranks into it. Instant casting time, 45 second cooldown, mediocre mana cost. Conflagrate: Your last Fire spell as a Mage in the spell talent tree, target is thrown into searing flames that deal damage each second for a interval of 4 seconds, while the target is under effect, it runs around in panic (Similar to fear effect) and can’t do anything in the meantime, also damage doesn’t cancel the effect. Cast time is instant, cooldown is 60 seconds, mana consupmtion is mediocre. A excellent spell, even rank one under good gear can rise its effect up to 5 seconds, at that time it already does pretty decent damage also, around as much as a FireBall. Pretty much a must have for Fire Mages, it also ignores Elemental shields and such and makes a great combo with Icy Flow, plus you can cast it right away under icy Grave , then icy grave again for longer control. For the rest, atleast rank 1. Prism Lightning: The last and most powerful mage Lightning Spell, Ability can be precasted and hits up to 3 targets in a range of 10 yards. It works pretty much like Chain Lightning in WoW, you throw it into the target and if there are any other targets around, it jumps to them too, it also blinds the main target on wich it was casted on for 4 seconds, wich makes it useful. If Cascade is taken in the build, this thing hits 3 times, thus a 30% chance that you can activate it again, sometimes it can be casted 3 times i a row. Mana consumption is Mediocre, range is 40yards, casting time 3 seconds, precastable. Recommended rank for it, 3. With that were done talking about the Talent tree spells, lets move on now shall we? Invisibility – short cast time , lasts 10 seconds with a cooldown of 60 seconds. Doesn’t fade away from DoT’s, a useful tool when you need to escape combat or temporarily get away to heal up and get shields up again. Tenesse’s Gift – ressurects on fallen ally once in 20 hours, 15 seconds cast time. Pretty much a one time per day ressurect, quite useless. Exodus – Teleports you and your party back to your saved point, or to a dungeons entrance. The mage has three Ruby tree grids, one is for Fire, one is for Ice and the third is for Lightning. This ability activates at level 10 and you can buy one ruby point each level with gold from your class trainer, in total you can buy 31 ruby’s at level 40 and you can aquire 7 more by doing different World Mystery quests and by getting the last PvP title. So that ends up to a total of 38 ruby points available at the very end. Lets start off with Active abilities from the Ruby Grids. Lava Spill – this spell is your first aquirable active fire ruby spell, it takes youur fire Entrophies and throws them at your enemy, causing a burn effect DoT, wich deals damage every two seconds and with each additional fire Entrophy it last 2 seconds longer, in total it can last 10 seconds and damage the target 6 times. A great way to get rid of fire Entrophy early game , for fire mages its a must. Plus it works well with Icy Flow. Fire Trap – casting time 4 seconds, lays a trap down and anyone who enters its range activates it, thus it explodes and deals damage to targets in 10yards range. Its a bit stronger than Fire Ball, long cast, you will only cast it outside of combat as preparation, in Mass PvP will get popped by pets quickly, no point in taking it. Elemental Contrast – removes one negative effect, uses fire and ice entrophies, if succesful then you regenerate 10% mana for each used entrophy. Well it would of been useful if it would actually remove Necromancer DoTs but since it doesn’t, theres not much use for it, plus its kinda of positioned awkwardly so its a waste of several points to get. Enlargement – quite useless, it makes your character bigger and changes some stats for others, the change isn’t worth the ruby’s spent, plus you become a easy target in PvP that stands out. Seismic Snap – takes fire and lightning entrophies and knocks down the target for a time of 0.5 seconds for each spent entrophy. This could of been useful if the time would of been atleast 1 second for each entrophy, but as it is now, its useless, you spend too many entrophies for it that you could of used elsewhere. Elemental Harmony – after the nerf , the damage it deals became insignificant and physical so its quite useless. Snowstorm – channeling spell that deals damage over a area of 15 yards range for 8 seconds, each two seconds, slowing the targets in range by 90%. Since its a channeling spell it could make a good addition for a Kenian mage, for others not as much bit still i’d take it, its still a very good mean of control and annoyiance for Mass PvP. Hypothermia – a very useful ice ability, eats Ice Entrophies, for each entrophy it freezes the target for 1 second, the target can’t move or attack, it consumes no mana like all the other Entrophy based spells and its a great move to cancel someones cast, or stop them from running , ect. Element Cooperation – a must have ability, its the only heal that a mage has, consumes ice and electric entrophies and heals you for a certain amount for each entrophy spent. It has many uses and tricks to it, you can run away and recover HP at the same time by using a Flash and Ice Quake, then heal yourself, this can be done when under some effects like conflagrate or bee swarm so you can recover a bit of HP. The only downside of this spell is like with any other heal…the really random range between minimum and maximum healed health. Ice Quake – once again a must have ability, it eats very low amounts of mana and generates ice entrophies very fast, a intant cast time, aoe around yourself does damage and has a 2 second cooldown. Different uses, can regenerate mana on crits, can reset your cooldowns on ice if you have the respective ruby’s, can get someone out of invis if hes in range, ect. Boiling Plume – damage is too low, not worth aquiring. Minimization – makes your character smaller, the stat bonus is insignificant but it has other uses, like making you a harder to target person in PvP or less standing out. Dissplacement – eats a ton of mana, doesn’t give 100% physical hit dodge, has a cast time, has a huge cooldown for a mage, useless ability, don’t bother. Flash – a must have spell, teleports the mage in the dirrection he is facing by 35 yards, our means of escape and generation of extra electric entrophies. Hive Mind – increases your party’s mana regeneration rate, is affected by your wisdom, useful ability if you have a good amount of wisdom. Recommended in having but thats up to you. Elemental Fortification – a very useful spell, at the cost of fire and electricity entrophies, it adds layers back to your Stone Barrier, this is the spell i mentioned in the Stone Barrier description where i said you could avoid mana costs. You just have to keep the Barrier on yourself and periodically renew it with this baby, it eats no mana and generates one lost barrier per entrophy spent, so if you wish to totally recover your Stone barrier that went down from 10 layers to 1, you will have to use this spell once and use 4 fire and 5 lightning entrophies, or vice-versa. Is very useful in combat when monsters come close and you just have those few leftover entrophies after killing it. Or when fighting against melee characters, you keep spamming them with fire and lightning and renewing your barrier everytime. Tempest – its the best mean of DPS early game, spamming Shock 5 times then tempest is the best damage output, later game its useful in Mass PvP when you have a couple of melee targets on you or in range wich you can scratch with it. Arctic Shock – a well versed control ability that enables you to freeze all the targets around you in a 10 years radius for 1 second per each Entrophy spent. Uses Ice and Lightning Entrophy. Calefaction/Chill/Energize – passive ability wich increases your damage with Fire/Ice/Lightning spells by 3/6/10%. This ability is a must have if your concentrating on a respective elemental build. Its recommended having 10% in lightning and you will automatically also have 6% in Fire. Sage Intelligence/Cunning Thoughts/Propitious Magic – passive abilities that increase your Intelligence, Perception and Luck by 5/10/15%. These three passives are a must-have for any mage since they increase your stats noticeably. Poise – same as the ones above but increases convinction stat by 5/10/15%, wich isn’t really needed by a mage so most people usually skip this, plus its located deep inside each trees, thus hard and wasteful to get. Avalanche/Cascade/Extinguisher – theres two levels of this ability in each Ruby Grid, gramts a 5/10% chance that your next Fire/Ice/Lightning spell will be a instant cast if you successfully land a critical hit. More for the critical build mages, not very useful for Int/Perc mages. Burning Desire/ – 10/20/30% chance to restore 25% of your maximum mana on a critical hit with Fire/Ice/Lightning. Another fine addition for Crit mages, they can recover quite a considerable amount of mana in combat trough these abilities. Fire/Cold/Lightning Absorbtion – passive ability with a 5/10% chance to recover 33% of your mana after receiving Fire/Ice/Lightning damage. Quite useless ability , skip, the chances are low and it only works against certain classes like the magicial and warden. Fire/Lightning/Ice Advantages – passive ability that builds up 1/2% extra damage for each respective entrophy buff at the time on you. Lets say if you have 1 Fire Entrophy, then the next fire spell will be 2% stronger, if you have five of them , then the next fire spell will be 10% stronger. But its not really recommended in having them since the damage is not stable and it slowly builds up and decreases with each use. Fire/Ice/Lightning Auspice – passive ability, works around same as the one above but instead of damage it adds elemental resistance against each respective element depending on how many entrophies are present. Invulnerability – passive ability that activates with a chance of 10/15/20% when your Health drops below 10%, wich makes you invulnerable to any kind of damage for a period of time, consumes 6/3/1% of your mana each second under the effect of the barrier and gets canceled out if you use a spell. Well frankly it only sounds good but chances are that you will get killed assap if your HP is below 15% and i won’t reach to the point of activating the barrier, plus its got a 1 out of 5 chances to activate and you might not even notice that it did and tap a spell button, thus leading in it canceling. So its a spell with a beautiful description in theory but is doubtful in actually practice. Eruption/Ice Age/Lightning Jolt – passives that grant a 56% chance ability to reset all of your Fire/Ice/Lightning cooldowns when you receive a critical strike from Fire/Ice/Lightning. In reality this chance is lower, about 20% and its useless for Ice and Lightning spells since those almost don’t have cooldowns. Concrete Mind – ability that increases the effectiveness of your Stone Barrier by 20/40/60%, this ruby is a must have for any mage, all three ranks. Amber/Crystal/Obsidian Mirrors – passives that increase your resistance against Fire/Ice/Lightning by 5/10% and have a 3/6% chance to reflect some Fire/Ice/Lightning damage back at the opponent when he strikes you. The reflected damage isn’t high and the chances are quite low for it to activate but the resistances are a good addition. I almost forgot about this important aspect of the game that will lead to confusion if not explained properly. A entrophy is a certain debuff that generates after using a respective school of magic, something like energy gathering inside you after using magic. The more you use your magic, the more entrophy you generate. As in if you would use Fire Magic then for each used magic spell you will generate 1 Fire Entrophy. When the number of entrophies reaches 6, they will automatically disscharge either creating a buff at a 70% success rate, or a debuff at a 30% success rate. -Resets cooldowns for your respective Magic School. -Will strengthen the next spell out of a respective school of magic by 150% power. -Will decrease casting time by 20% for each entrophy disscharged for a respective school of magic. -The cooldowns for a respective school of magic will be increased for 8 seconds. The amounts of Mana or Health refilled or burned are affected by your maximum amount of Health and Mana. Also when using a certain school of magic that is opposite to the other, they will cancel each others Entrophies when casted, thus if you have 5 Fire Entrophies and use a Ice spell, then it will generate 1 Ice Entrophy and decrease your fire Entrophy by 1. This is very important to keep in mind and know what spells will affect your current entrophies since they are used for more than just ordinary buffing, wich i will explain a bit lower. There are several spells in the game available for your mage that use Fire/Ice/Lightning Entrophies. These spells are all inside your Ruby grids, thus you will have to build your characters respectively to get them. Each of them is very special and unique, they usually do not require mana and do not have casting time but instead they require a certain combination of Entrophies from each school to be used. It requires one Ice and one Lightning Entrophy to be used, for each entrophy it will heal you for a certain amount of HP that is affected by your Intelligence. Also take note that Ice is weak against Lightning and it will be decreased the number of Ice Entrophy’s if you use them incorrectly, as i said above. So the correct way of using this would be by first aquiring 5 Lightning Entrophies then 5 Ice entrophies to fully maximize the effect of the spell. There are also several other interesting spells in the Ruby grids that require entrophy, i’ve described them in the spell section. 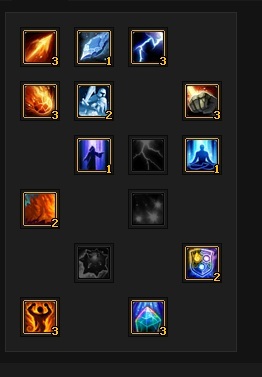 In this section we will talk about possible build ups of both spells and talents for each type of mage, i’ll bring up as example alot of builds that were even suggested on this very forum by different users. But with that said there is a basic gentleman’s hand ruby build that is considered as a minimal requirement to be had as any kind of mage, without it, proper Mages won’t even have a second look at your build for disscusions. 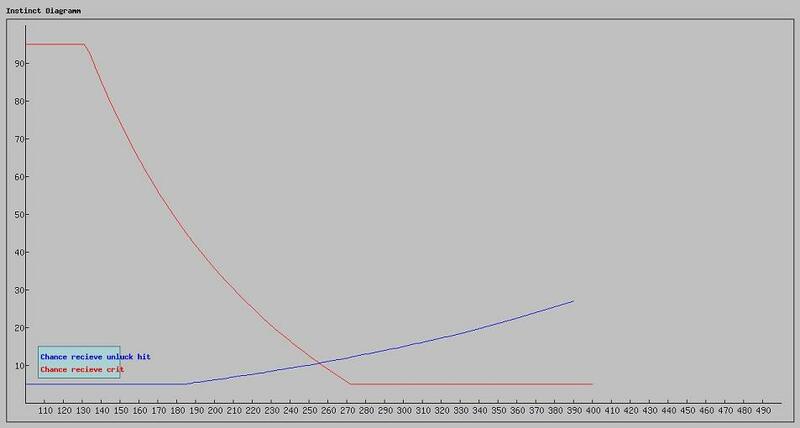 And the raw minimum that every mage should have in their ruby grids would look like this. With that you have 12 points left wich you are free to allocate wherever you feel like best, thats where disscusions about builds beggin, wich is better, more effecient, cheaper to keep up with, most effective in PvP, PvE, ect, ect. But all in all its just additional costumization. As of talent spell builds, well there is no Gentleman’s Hand build for one , its totally optional wich spells you use, are used to using and prefer using for your own comforting play style. But the most basic ones that you could come across most often are something like this, personally i also use it myself. As of some people might argue about it and say that they don’t like using Fire Wall and would prefer these points somewhere else like Meditation for example, or that some prefer to heavily use lightning or just fire arrow thus they don’t need the other, some say they don’t use fire ball at all and don’t want it in their build. BUT in reality neither of those spell builds is wrong!! It all comes down to your own play style and preferences. So i won’t go into detail about Talent Spell buildings, with the above example i’ll just leave it at that, plus with the detailed Description i gave about spells in the previous section, you should already know yourself what would YOU prefer for yourself.